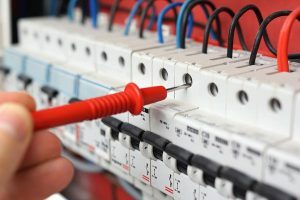 AJ Taylor Electrical Contractors are based in Brighton, East Sussex and are fully qualified, experienced electricians operating across Sussex, Surrey, London and Kent. If you are in need of an electrician in Sussex, we guarantee the quality of our workmanship no matter how big or small the job. 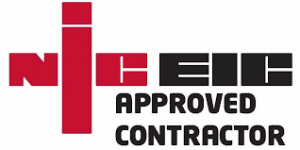 We offer a highly expert range of commercial electrical contracting services including installations, maintenance and testing and with our extensive industry accreditations, you know you are in safe hands. At AJ Taylor we can cater for all types of companies, shops and schools. Whether the job is on a large or small scale, we have the expertise and experience to provide the electrical needs you require. We have a proven history of a strong capability of following any given project through from the design stages all the way to implementation, striving to meet all requirements put forward. Our flexibility to work to your needs is paramount to us, our current partnership with Thai restaurant Giggling Squid is testament to this commitment, they have needed us to fully installing all the electrical and air conditioning prior to opening any of their restaurants nationwide. We have ensured a continued relationship by working to their exact needs and specifications, for example they require that all their air conditioning installations be low visual impact to maintain the atmosphere they strive for in their branches and allow us to come up with a solution for them which they are consistently impressed with. These services and more are available to all commercial customers, whether it be a single job or an ongoing partnership over many work sites we strive to give you the design and service you want. From design and consultation to installation and maintenance, AJ Taylor provides the complete Electrical service to all commercial sectors Sussex, Surrey, Kent and London. For any sized project – big or small – get in touch today for a free quote!